Citizens for Conservation offers nature-based programs designed to educate children ages four and older in the greater Barrington area to discover their role in “saving living space for living things.” We offer children from pre-school through sixth grade, along with their parents, the opportunity to learn about the natural world at home with the Junior Naturalist Home Education Series. The purpose of CFC’s Community Education Committee is to inspire and equip local residents to lead environmentally friendly lives. We are a community resource helping homeowners to make simple changes in daily activities that will allow them to exist seamlessly in a healthy natural environment. We are especially involved in home landscaping. 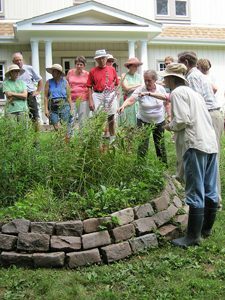 Community Education develops and delivers programs and materials that involve many aspects of connecting people with nature. 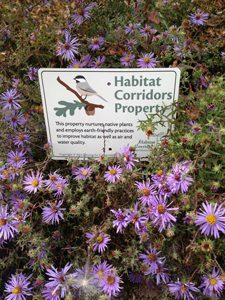 Habitat Corridors is a program developed by Citizens for Conservation to educate and assist local property owners in using their land in an area-wide expansion of native habitats that encourage native birds and butterflies and the plants and space they need. Corridors rather than isolated parcels of land are critical to helping species find the food, shelter, and breeding opportunities they need to thrive. Every yard, no matter how small, becomes part of the solution.